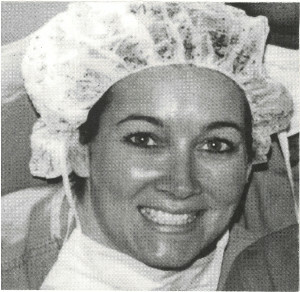 My desire to travel to Haiti on a medical mission trip started years before I had the privilege to go in April 2006. Working with Dr. Kenneth Westfield as a surgical nurse for 10 years allowed me the opportunity to hear the stories and see the pictures of the remarkable things that were being done in Lscahobas. I was finally able and ready to go in 2005 only to hear of the political unrest in the country. This would result in the cancellation of the yearly mission trip, which meant that hundreds of people would go a whole year without necessary I care. My fears were tremendous as the 2006 trip there. I often thought about not going, but what a blessing I received by putting my fears aside to go and serve the less fortunate. The people in Lascahobas seemed so grateful for what was being done for them. They would be in line for hours, sometimes days, to get the treatment they so desperately needed. One young boy, maybe 10 years old, was suffering from a traumatic cataract from an accident that had occurred some time ago. His bravery through surgery was extraordinary. He was so thankful to have the medical team available to him. That allowed him to see again- something that we take for granted on a daily basis. I realized many things during my endeavor. I learned that when you take the focus off yourself and put your fears aside, so much can be accomplished. Lives can be changed. Mine included.